In the documentary film Sweet Auburn Blues, the main character isn’t the dapper curator who resurrected Madame CJ Walker’s salon, or the historians who explain the economic aftermath of desegregation, or the shop owner who works to afford economic opportunity to his homeless neighbors after overcoming homelessness himself. It’s the road itself: Auburn Avenue, one of the most historically and culturally significant stretches of pavement in the South. 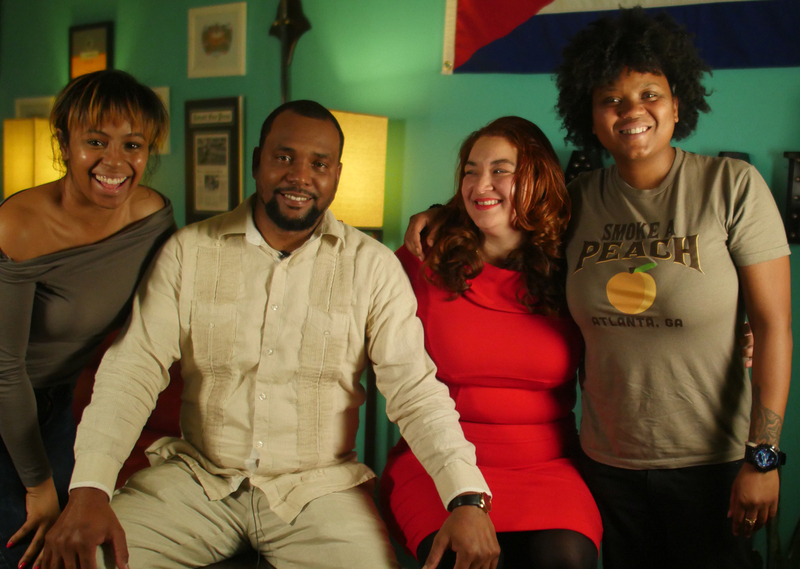 Atlanta filmmakers Shonda Harper, 34, and Alahna Lark, 24, began filming the 60-minute documentary in 2016. 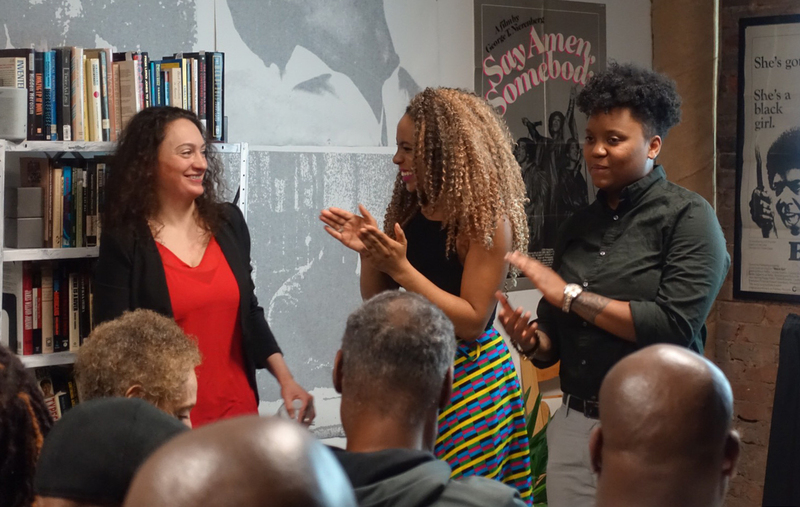 In it, they trace the history of Auburn Avenue as a nexus of black culture and commerce, a springboard of the civil rights movement, and a community irreparably cleaved in two by the construction of the Downtown Connector in the 1950s. The film airs on GPB Knowledge on March 24th and 26th. On the 28th, the Atlanta Beltline Center will host a free screening followed by a panel discussion with the filmmakers. 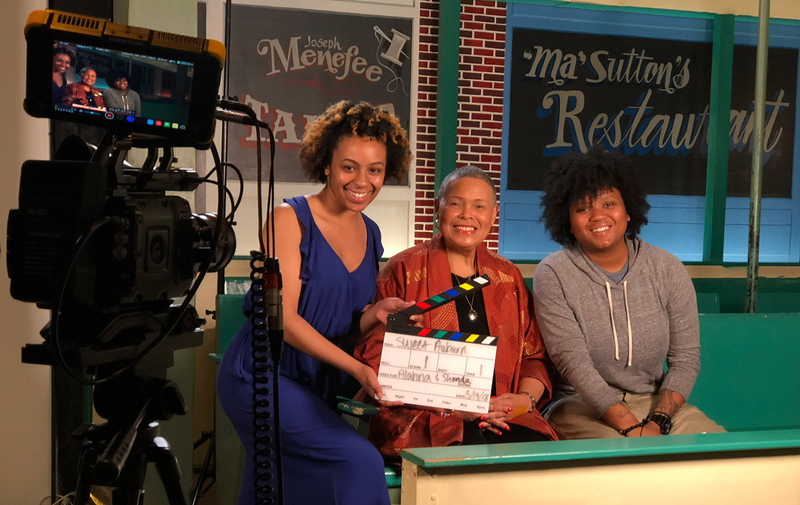 And starting in April, the Madame CJ Walker Museum will host monthly screenings on the third Friday of each month for $10. Tell us about the origin of the idea, and how the project in its current form came to be. Shonda Harper: I grew up in a rural part of Georgia, in Milledgeville. Growing up, I really didn’t see a lot of affluent, upper-middle-class black folks. I moved to Atlanta to attend Georgia State, and it was a bit of a culture shock: I started to see black lawyers, doctors, engineers, business owners. It really blew my mind and expanded my horizons of what I thought was possible. I started to realize that there’s a legacy of black excellence here, a very rich history of black artistry, commerce, and culture. And all of my research led me back to Auburn Avenue. Alahna Lark: We started working on it in 2016. I freelanced at Georgia State at the time. I mentioned it to my network head and he suggested making it a Special Edition episode for GSU TV. So we started the film all over again with better equipment and a crew. That’s how it turned into a two-year project. What is your personal connection to Auburn Avenue? Harper: I credit Auburn Avenue with inspiring me. For me, this laid a blueprint for how to build community, how to build economic power and independence. It shifted my worldview. It shifted my ideal of what is possible, of what community looks like. Lark: I came from the complete opposite end: I knew nothing about Auburn Avenue. It was a place I went in college when I wanted really good Jamaican food; Mango’s was a hop, skip, and a jump away. That was pretty much the extent of it. Throughout the whole filming process, I went in very blindly, and I decided I wanted to learn through the interviews. When you’re going straight to the source, and having people speak on their community, then you learn completely different things than what’s accessible from a book or the Internet. What was your research process like, as you were determining who to interview and what the film’s narrative would be? Harper: I did research, but I also just spent time in the neighborhood talking to people. What businesses are relevant and contributing to their community? What churches do I need to talk to? Which ones are active in the community? Who are the developers who have development in place on Auburn Avenue? It was a lot of just spending time in the community, talking to people, learning who people were. How many people did you end up interviewing? Lark: I think it was 25. We wanted beautiful, knowledgeable black people to be the historic reference for the film. Maurice Hobson, Karcheik Sims-Alvarado—these are amazing, dynamic, historically knowledgeable people in the city of Atlanta. Harper: And they’re very accomplished. I like that they challenge the idea of what we think a historian is. Young, engaging people who make history come to life when they talk about it. What was the most surprising thing each of you learned about Auburn Avenue as you were researching and interviewing? Lark: I think the most surprising for me was how devastating the interstate was for black communities all over the U.S. It’s something that I had learned, but learning the extent to which it impacted the entire economic status of black people, and how it continues to affect black entrepreneurship to this day, was really saddening. Not just that, but learning about [Atlanta Life Insurance Company founder] Alonzo Herndon, and the fact that a former slave could become a millionaire. This wasn’t something we were taught in history books. In history books, we learn about the enslavement of people of color. But when it comes to reading things that might uplift the spirit of a young mind who wants to know what they’re capable of, just knowing that there are these great role models that we may never learn about unless we seek it out . . . I thought that was very disappointing. Harper: In film school, you’re always taught not to bring your own agenda to a film, especially a documentary. But we all have this idea of gentrification as this big bad wolf eating up neighborhoods and spitting out people of color. I went into it very much with that mindset. But when I’m talking to the people who live in the neighborhood, that wasn’t a universal answer. A lot of people weren’t seeing this “neighborhood renewal” or gentrification as a bad thing. That part, to me, was really interesting. It definitely added more nuance to the way that I look at it, and the way that I talk about it. Was there a moment during filmmaking that really underscored the importance of this project? Harper: It’s a small moment, but one of our interviewees was talking about this woman—they tell her story in the film, but essentially, as a black woman in that time, you could only get work as a black domestic. But when the shifts were over, you didn’t have a way to get home. It wasn’t safe for black women to move about in the evenings. So this woman essentially was an Uber driver. She’d just pick people up from work. To me, that’s a perfect example of the easy, simple ways in which we can build community together. Lark: I think what’s significant about that story is the fact that there’s no mention of her in any historical document anywhere. This is just a normal woman who decided to make a difference for her community. But you can’t hear that story anywhere else. That’s the power of documentary filmmaking; these people who were lost to history that you may never know about otherwise. What do Atlantans misunderstand or get wrong about Auburn Avenue? Harper: I don’t think that the current Auburn Avenue really does the history justice. I think when people walk through that neighborhood, they may feel uncomfortable. And they don’t see the history, the beauty, the potential, the growth. I’m hoping that people will feel inspired by this film, but also feel a sense of ownership. This is a piece of history—an amazing piece of history that can continue to inspire. I hope people are able to take away an appreciation for the histories there, but also, take action. I want to see this neighborhood come back to its former glory. Lark: I think one of the main communities that we tried to really give their perspective was the homeless community, which is already a community that’s misunderstood. It’s so prevalent in Atlanta that we should be trying harder. Instead of avoiding eye contact on the street with a homeless man who’s asking you for money, maybe when you see these interviews, it can humanize them to the point where, even if you don’t have cash, you can stop and have a conversation. Even those little conversations can change the culture of how we interact with people who are part of our community. What sort of action or dialogue do you hope the film can inspire? Lark: We want the leaders of the community, and also the leaders of Atlanta, the people who have say, to be more readily available. It feels like there’s this gap between members of the Auburn Avenue community and leaders. There’s also a gap between people who just want to help out. Maybe this film will make them care about what happens to the community. How can average, everyday Atlantans be part of the progress of Auburn Avenue? Even just bringing to light the need to have these conversations within our communities with people who can incite change is, I think, something positive that the film does. Lark: We are crowdfunding to be able to hold more screenings. We want to take it out of Atlanta, because we believe this is not just an Atlanta story; it’s an American history story. We’ve also been in collaboration with Ben and Tanya Graham of Bigmouth Ben’s Store, which is featured in the film. They do a lot of work with the homeless community, and they sell vouchers where you can help feed the homeless. So at every screening, we’ll make it possible for any audience member who wants to help the community to donate to that cause as well. Harper: There are a million Auburn Avenues, and communities that have a rich history that people don’t know about. I just hope that us being able to screen the film in other locations might inspire other people to take a look at the history in their communities.